These drop biscuits are buttery and flaky without any effort at all – mix everything together, drop the dough on a cookie sheet and bake. So easy! Clearly. This is the third recipe I’ve posted for regular old biscuits – not even cheese biscuits or something to change things up – just biscuits. It’s necessary to have this many recipes for biscuits. Really. They’re all a bit different, I promise – and having options just makes it easier to always be able to make biscuits at the drop of a hat. And that’s important. 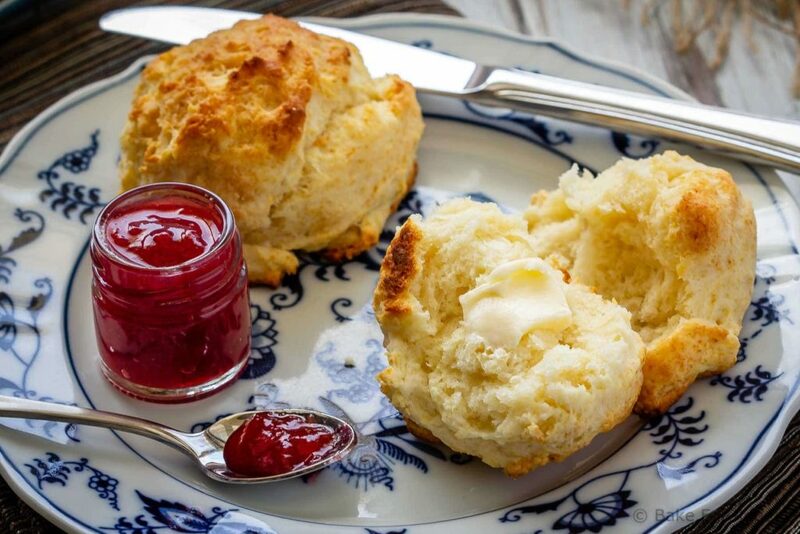 Maybe we don’t all need a multitude of biscuit recipes, but it can’t hurt. 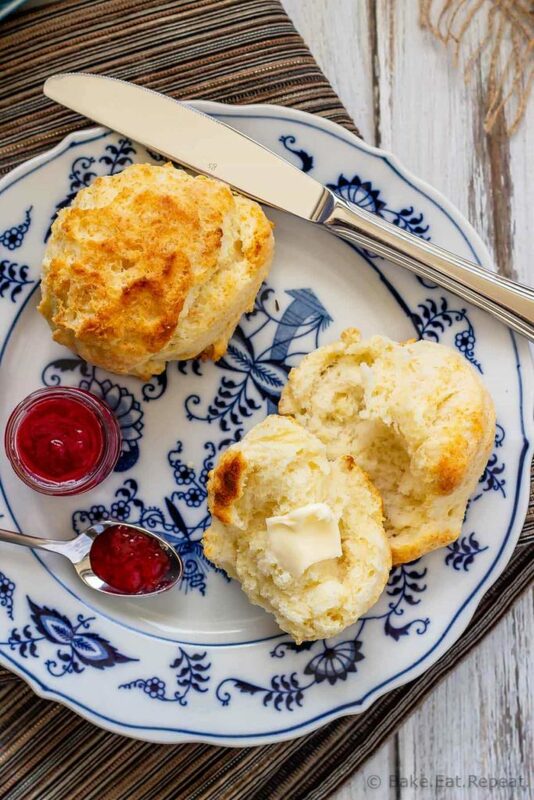 Is there anyone that doesn’t love a hot, buttery, flaky biscuit with their dinner? 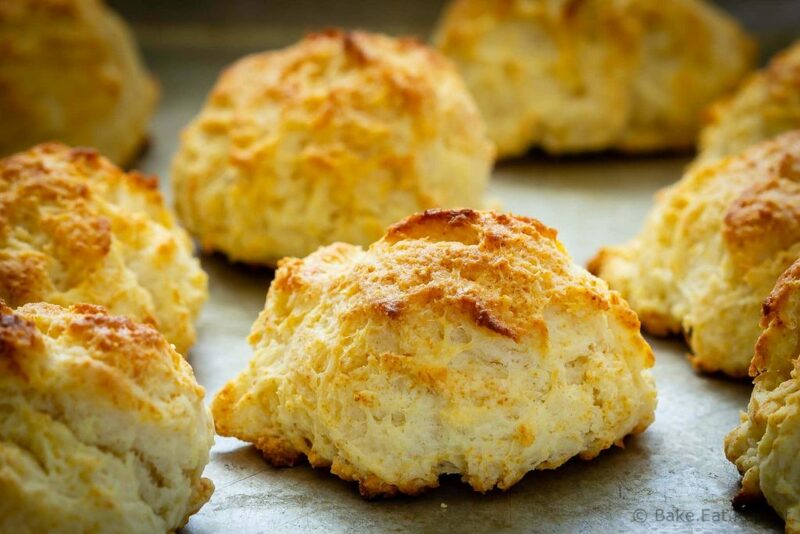 At any rate, these drop biscuits are fantastic. And easy as can be. As much as I love these buttermilk biscuits (still probably my favourite), you do need to grate the butter (or cut it in with a pastry blender) to get those flaky layers. And these homemade cream biscuits are amazing too, but you need to have heavy cream on hand to make them, and you still need to roll out the dough and fold it several times to get those lovely layers. But these drop biscuits? Beyond easy to make. 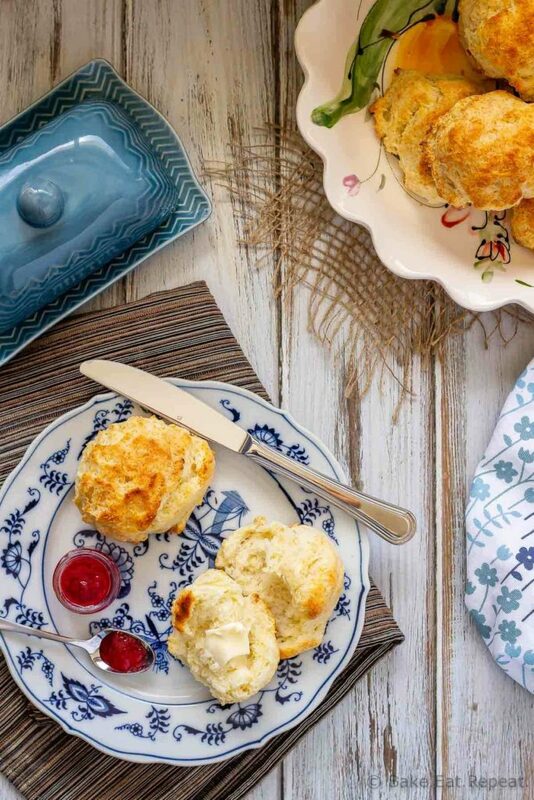 The flakiness in these biscuits comes from stirring melted butter into cold buttermilk, giving you small pieces of butter in the dough just like you get from cutting in the butter, but way easier to accomplish. And there’s no rolling out the dough, or folding it over multiple times, you just drop it by the spoonful onto a cookie sheet and bake. So easy. These don’t have the obvious layers that you see in the biscuits that are rolled out and folded before baking, but they’re still flaky and buttery and delicious. And easy. So, so easy. If you don’t have any buttermilk, you can substitute one cup of milk mixed with 1 tablespoon of vinegar or lemon juice. Make sure your buttermilk is cold when you mix in the melted and cooled butter, and stir until your butter solidifies into small lumps in the milk. I like to use a 3 tablespoon sized ice cream scoop, sprayed with non-stick cooking spray to portion out the biscuits. A dry 1/4 cup measuring cup will work well too. I’ve also shared this Drop Biscuits recipe over on Food Fanatic. Beautiful biscuits. And so much easier than rolling and cutting them out, especially when my dough tends to be on the wet side!